In 1948 Dr J. M. Batista i Roca was permitted to start a Catalan option within the Cambridge Tripos and he himself taught Catalan language and literature to students of Spanish. From Cambridge he fostered the introduction of Catalan Studies into other British universities. He was later to award scholarships to a small number of students to go to Catalonia to further their studies of Catalan culture. Some of those pupils of Batista's were later to hold chairs at British universities in which Catalan studies flourish. In those dark post-war years the relationship between British Hispanists and the Catalan community in Britain grew closer and closer until there emerged a group of people with a common interest in Catalan culture. It was around this relationship that the Anglo-Catalan Society was formed. 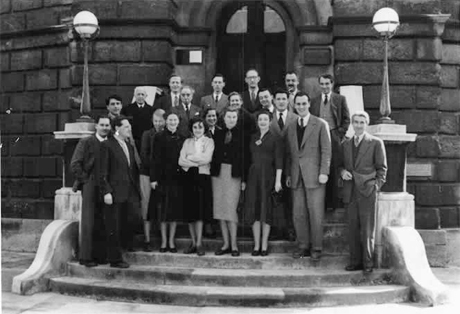 To begin with, English and Catalans simply met for lunch and discussed topics of mutual interest, but by 1954 there were enough of them sufficiently keen to link themselves formally as an association with a proper constitution setting out the structure of the new Society and specifying its objectives. From its inception the Society was conceived of as a clearly non-political organization, and this feature has been preserved throughout the Society's history. The reasoning behind this policy lay in the principle which in part guided its founding members: to counter the notion that Castilian culture was the only Hispanic culture worthy of the attention of academic study. With the Franco regime at its height it was of course quite possible that such a notion could easily have become entrenched. Any attempt therefore to give the Society a political character could soon have led to its failure, since the majority of its members were also engaged professionally in teaching Castilian language and culture, even though they all expressed strong opposition to the Franco regime and the obliteration of non-Castilian cultures in the Spain to which the regime aspired. And so the task which the Anglo-Catalan Society set itself was limited to the dissemination and promotion of Catalan culture throughout Britain and Ireland by every available means; to destroy wherever possible the myth of Castilian cultural monopoly; to establish the facts of Catalan culture; to correct the balance and to present a true image of the cultural reality of the Iberian Peninsula. G.W. Ribbans; Amadeu Solé Leris; R.D.F. Pring-Mill; Josep Trueta; F.W.Pierce; J.M. Batista i Roca; Currently unidentified; Brigitte Pring-Mill; J.H. Elliott; Currently unidentified; Maria Hernández Roig; F. W. Hodcroft; R.B. 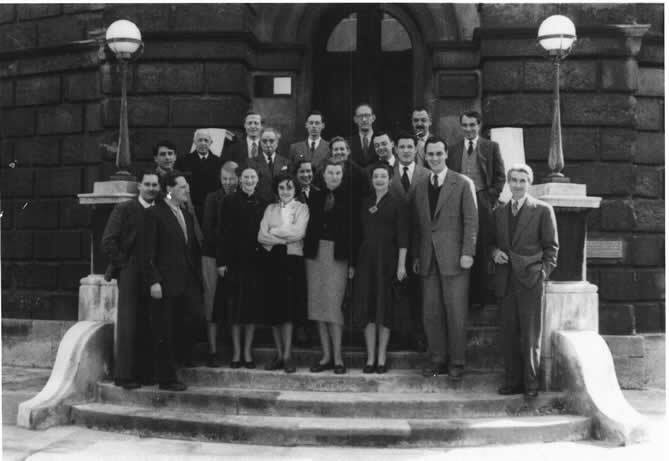 Tate; Currently unidentified; Antoni Comet; Elizabeth Gili; Emili Giralt i Raventós; Currently unidentified; P. Russell-Gebbett; Ramon Gubern; Joan Gili. Members are invited to collaborate in filling the blanks and/or resolving any of the doubts indicated. Please email Dr Anna Vives. Renewed thanks are expressed to Dr Ramon Gubern for placing this item at the disposal of the Society and authorizing reproduction in this format.